Steven Kay QC and Eeva Heikkila of 9 Bedford Row have successfully represented a client at INTERPOL, resulting in the withdrawal of a Red Notice against him, which had been requested by the Russian Federation. Mr Kay QC and Ms Heikkila submitted that the Red Notice stemmed from fabricated charges against the client and was politically motivated. As the client’s case mirrored the abuse in the notorious case of Sergey Magnitsky, it was further submitted that should their client have been extradited to Russia his life would have been in severe danger. The client was a successful businessman in Russia, whose business was unlawfully expropriated. 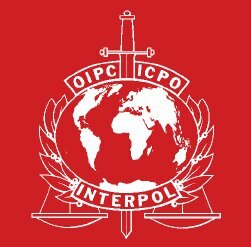 After the client began to build a case against the Russian Federation for the unlawful act, he was named as a fugitive from justice by Russia at INTERPOL and his immediate apprehension and extradition was requested under the Red Notice. 9 Bedford Row has developed expertise in challenging abuse through Red Notices and is working hard to assist INTERPOL in making necessary reforms to tackle the abuse.